Christopher Moloney, CMO of TaxSlayer, on hiring new talent, switching over from the creative side, and how CMO's can change the world. Christopher Moloney, CMO of TaxSlayer, on hiring new talent, switching over from the creative side, and how CMO’s can change the world. 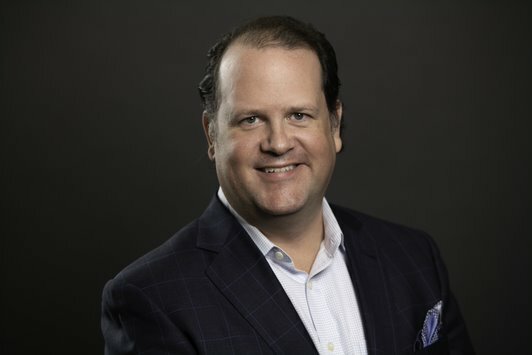 The CMO Club recently sat down with CMO Christopher Moloney of TaxSlayer. Christopher has a long and distinguished career in the financial industry for such iconic brands as Wells Fargo Advisors, Scotttrade, and Experian. He has also worked on the creative side for numerous agencies and newspapers, including graphic design for USA Today early in his career. He is a proud native of St. Louis, Missouri, the youngest of seven siblings, and currently lives in Augusta, Georgia, with his wife, Erin, and their four-year-old daughter. CMO Club – Welcome. Tell us about how you started in marketing. CMO Club–Tell us more about your transformation from this creative, left-brain person right out of college to the right-brain marketer you became. Was that a natural evolution? CMO Club – You mentioned you worked customer loyalty programs before they were a big deal. What were some of the things you discovered? CMO Club – That’s great. Is there anything new, any surprises taking you in a different direction lately? CMO Club – What are some of the characteristics you look for in new hires? CMO Club–How do you feel about raw-talent versus experience? CMO Club – If you could go back to your 21-22-year-old self, what advice would you offer? CMO Club – With all the headlines in the news these days on data security, how much of your day do you spend on knowing where your data is coming from and what’s happening to it after, especially on the personal finance side of things? CMO Club – what are you most passionate about outside of work? Christopher Moloney – I’m a fanatic about seeing live music. My wife and I try and see as many concerts as we possibly can. We’ve probably seen over 500 concerts together, both old, classic stuff as well as a lot of new music. That’s about a concert a week over many years. I get such a charge out of live music, all that energy in the room. Our house is full of framed concert tickets hanging on the walls. CMO Club – Wow. Any new music you recommend? CMO Club – Anything that you can share with the club that not a lot of people know about you? Christopher in his DJ days. CMO Club – Can a CMO like yourself have a hand in making the world a better place?